Sneak peak for conference Wednesday Night Event! Have you already registered for the 2018 TPTA Conference? It's going to be in Houston at the downtown Marriott Marquis from March 26-29. Sponsorships and exhibit booths are going fast too, so sign up while you can! As always, TPTA likes to close out the conference with a great team building event and this year is no different. Get ready for the TPTA Mini Golf Charity Classic! 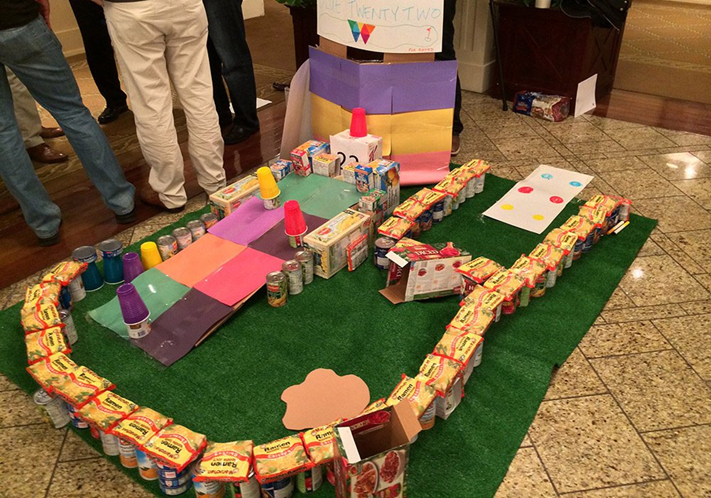 Teams will be challenged to build a custom mini golf hole using canned and boxed food. But we need your help. We need non-perishable food items - contribute individually or sponsor a food drive through your company. All proceeds will be delivered to the Houston Food Bank after the event. Donate money through the TPTA conference website during the registration process. If you have already registered for the conference but would like to donate - return to the conference website then click on Already Registered and add your donation amount. If you have questions, please contact Jaime Snyder at jsnyder@walkerconsultants.com or Britney Cooper at bcooper@walterpmoore.com. We look forward to an awesome event and your participation is greatly appreciated! See you in Houston!